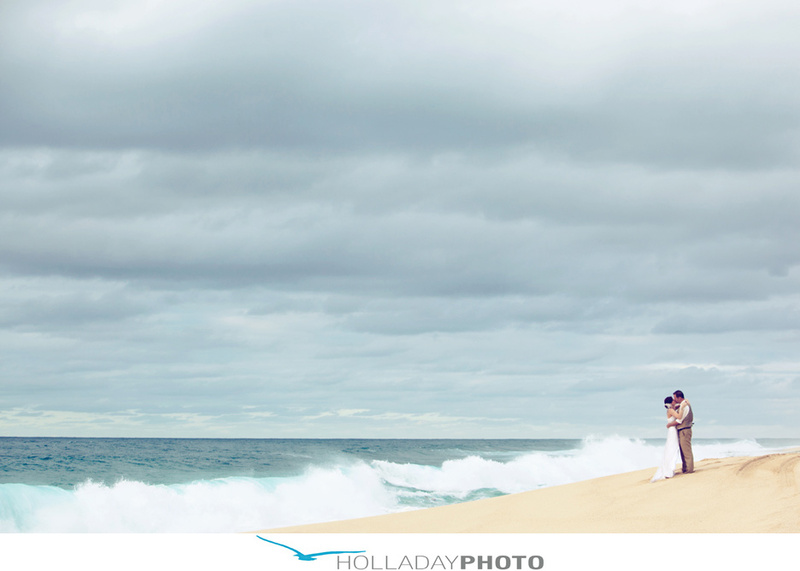 A small preview of a wedding I photographed this week, Rebecca and Tyler’s eloped on the North Shore of Hawaii. Nobody knew of their wedding, so I sent them a few photos quickly so they could announce it to the world. Congratulations Rebecca and Tyler, it was a beautiful ceremony. That shot with them kissing and the water rushing up around them us amazing! I absolutly love it!! I am so glad they wanted to get in wet, the water rushing around them makes it a so much more dramatic photo. I love your work, Mark. 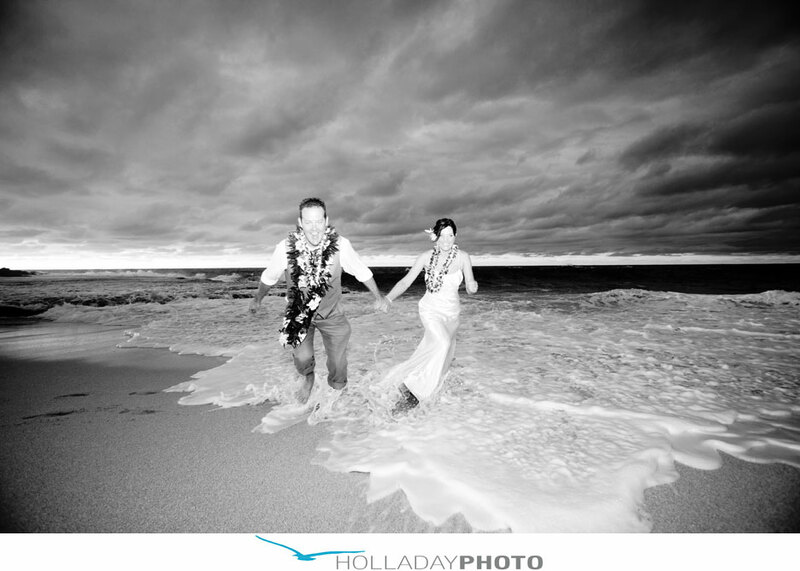 These pictures are amazing, especially that one with the waves crashing up behind them. Just gorgeous. 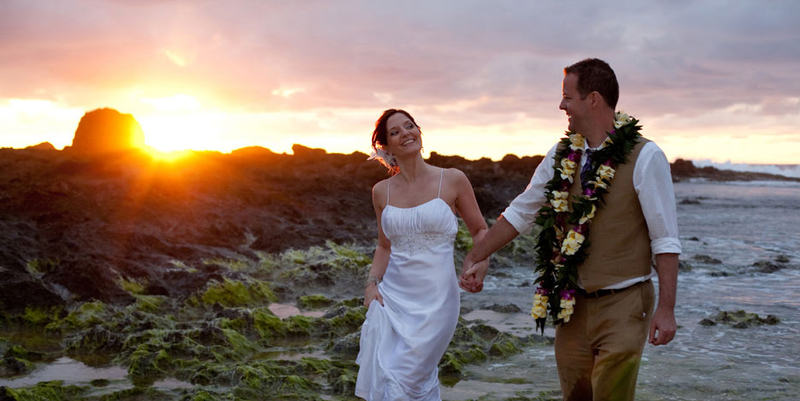 Since our wedding pictures stink, maybe someday we can hire you to recreate them. ha ha. 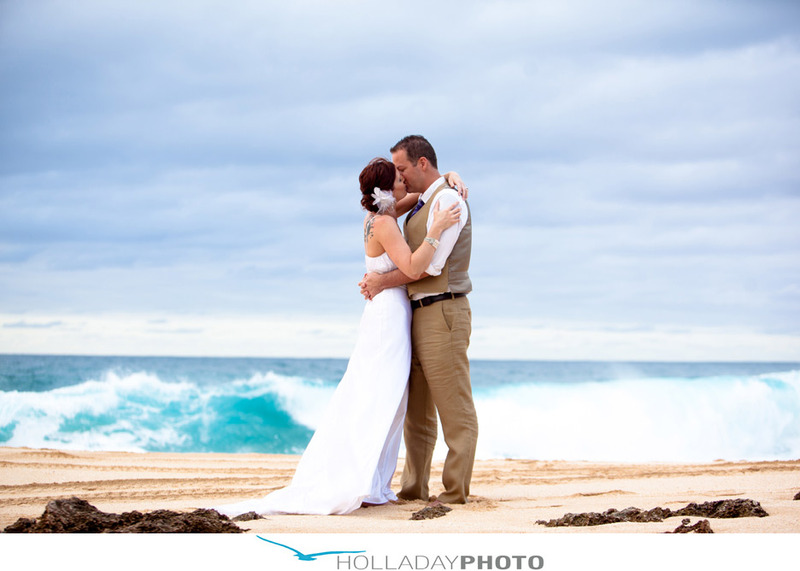 Thank you Sally, the waves were beautiful that day. comfortable!! You captured on film the way the night really felt, which was magical. It is so much fun to share these photos with our friends and family and to get their reactions. You are so creative. 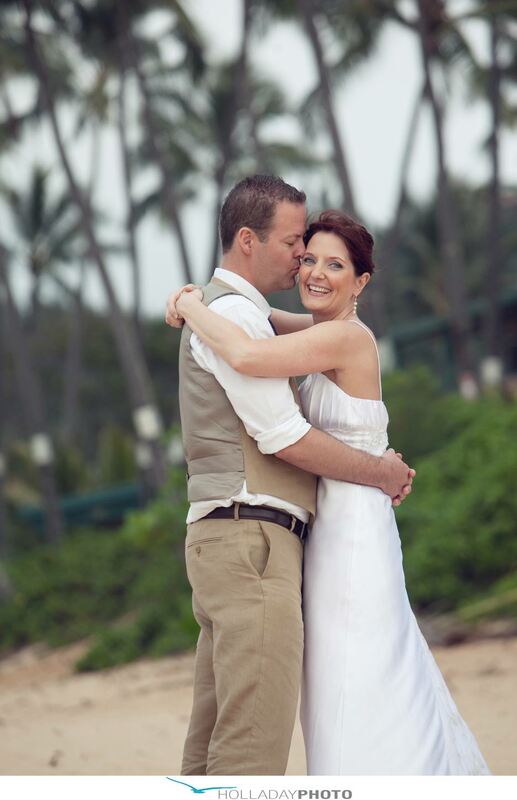 Thank you for doing such a wonderful job, we cannot wait to see the rest! Thanks for letting me be part of your special night, you guys were amazing!